You may not believe it, but West Hampstead is the place where you are going to find the most comprehensive, competitive and satisfactory professional removal services on the territory of the whole London metropolitan area. To a large extend, this is because our company operates here. 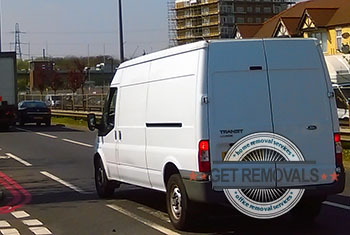 As a West Hampstead removal contractor we have over years of experience serving the local community. We have worked for many of home and business owners over the years, and every single one of them has been completely satisfied by the quality of the service our well trained, fully licensed and experienced drivers, movers and helpers have provided them with. Full domestic and commercial project. We also provide storage, waste disposal and other supplementary services you can learn more about by going through this website. Naturally, everything is done with full insurance liability and very clean vans that are modern and well maintained, so that you have no reason to worry about the safety of your personal items or office equipment. Getting your relocation in West Hampstead carried out by us would be the experience of a lifetime. Our technicians will use specialized tools and equipment, take care of all the packing, loading and other heavy lifting, and determine the route on which your possessions are going to be transported using GPS. You can count on them to be thorough and efficient. Your project is going to be completed on time and up to the most satisfactory results, at a competitive price. In order to see how much it would cost you to get your property moved by us, just request a free quote from our 24/7 customer support over the phoneor by filling out our online contact form. The price you are going to be told would be the price you will have to pay for getting the job carried out by us. Just call us for booking and a quote. West Hampstead is an area in north west London, which is located comparatively close to the City of London, and because of this is also one of the most preferred residential districts in the capital today. There is no big business present in West Hampstead – the only commercial ventures to be found here are small shops, bakeries and restaurants. Among the notable local landmarks are the Hampstead Synagogue, which is over a century old, the West Hampstead Fire Station which was found in 1901, and several other buildings, some of them listed. 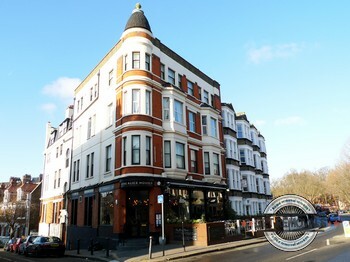 There is a large number of notable residents West Hampstead’s community can be proud of – famous guitarist Slash (Guns n’ Roses and Velvet Revolver) owns a home here, as well as authors Doris Lessing and Marina Fiorato, actor Jim Carter and singer Chaka Khan. Alec and Evelyn Waugh were both born in West Hampstead. The development of the NW6 area commenced with the arrival of the railways. Until then the area was a rural farmland. Soon after the arrival of the railways the first public library in West Hampstead was opened. The library remained open from 1901 to 1940 when it was destroyed by the German bombings of World War II. Also in 1901 the West Hampstead Fire Station opened doors. The station is still operational and according to the latest statistics responds to over two thousand emergency calls pear year.